Inside the library of the United States Department of the Interior – across from the card catalog and alongside the shelves of books – you’ll find these masks, 45 of them in all. Each mask is hand-painted and designed by someone from the Virgin Islands. “People have been coming in over the last month or so looking at the exhibits, and they’re awed by the masks, the color of the masks and how beautiful they really are,” said the library’s director George Franchois. The project is two-fold. First, it’s a moving memorial to those who lost their lives during Hurricanes Irma and Maria in 2017. But it’s also utilizing the Islands’ time-honored tradition of art and mask-making, and its role in healing the islands’ residents following the natural disaster. The masks were first on display as a temporary public art project around the V.I. during the St. John festival season. But when it came time to bring the display to Washington, the National Parks Service reached out to Franchois and the library. “With this specific project, we wanted to show how the people of the Virgin Islands were so resilient,” Franchois said. This type of project is something that is fairly new for the Department of the Interior. Traditionally, it’s books and other texts that fill their display cases. But this time, Franchois and his team wanted to do something different. “It’s amazing to think that this type of beauty can come out of what was a disaster last year in the Virgin Islands,” Franchois said. 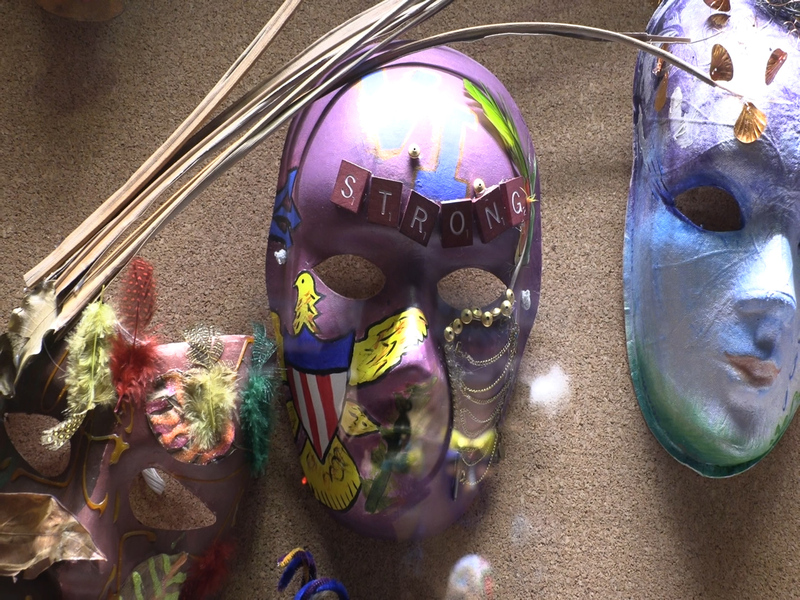 More than 500 people helped create the masks, each person encouraged to imagine new identities and new ways of being in the storm’s aftermath. That “being” and those emotions is now on full display for all to see in a traditional Island way. If you will be in Washington this week, there is still some time to check it out. The masks will be on display through Friday at the DoI’s library. Their hours are 7:45a.m.-5p.m. Monday-Friday. The masks will be on display through Nov. 16.